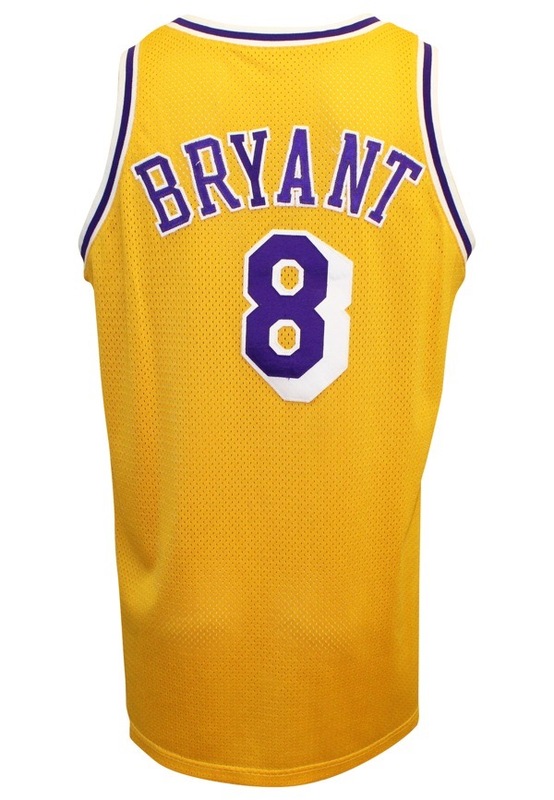 Kobe Bryant and then-teammate Shaquille O'Neal led the Lakers to three consecutive NBA championships from 2000 to 2002. In his second season he was voted a starter for the 1998 All-Star Game, becoming at 19 the youngest All-Star in NBA history. 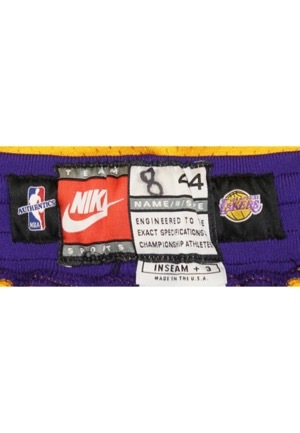 On the front tail is the Nike manufacturers tag size “46” tag. Attached is a flag tag reading "LENGTH +4" and "Made in USA". The inside inseam has two tags, a Nike washing instructions tag and a "1998-99 Made in USA" year tag. 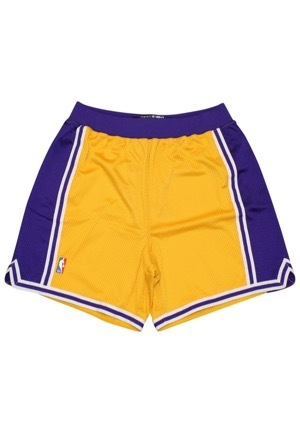 Across the front is "LAKERS." 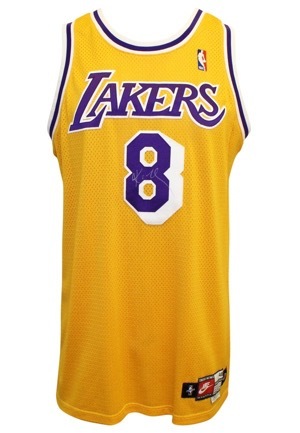 Below that and on the back is the player number "8." Across the back is "BRYANT." All lettering and numbering is done in purple on white tackle twill. On the upper left chest is the official "NBA" embroidered logo patch. 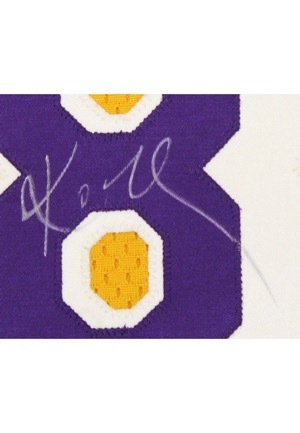 Autographed on the front number in silver marker and in our opinion the signature rates an 8. 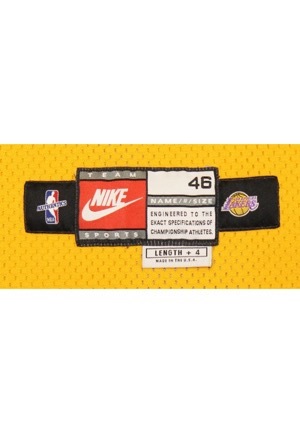 In the back waistband of the shorts is the Nike manufacturers tag size “44”. Attached are three additional manufacturers tags reading "INSEAM +3” "Made in USA," a Nike washing instructions tag, and a "1998-99" year tag. On the right lower leg is the official "NBA" embroidered logo patch. This uniform is properly tagged, was presented to us as game-used and in our opinion shows appropriate use. Accompanied by a LOA from JSA and a Basketball Hall of Fame LOA.